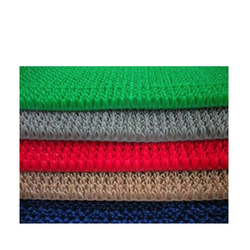 Durosoft cushion mat is a strong and durable entrance mat made from Vinyl fibers bundled into loops randomly which effectively remove grime and dirt from the footwear. Durosoft is made available in vibrant colors to match the various ambiance. Colours available are Red, Green, Grey, Maroon, Blue & Black . 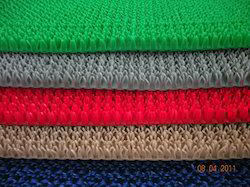 We are offering Duro-Soft Premium door mats to our client and our product is made of good quality. 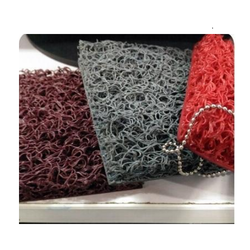 Durosoft mats provide elegance and efficiency. They are available in many attractive colours. Its flossy base offers a soft cushioning support to the feet giving relief from foot fatigue. Our customers can avail Duro Turf Grass Outdoor Mats from us. The offered range of duroturf grass mattings is available in different customized specifications and forms as per the diverse requirements of clients. In addition to this, the offered range of duroturf grass mattings is suitably checked on different parameters to maintain its authenticity throughout the designing process. Our customers can avail Z Grid Vinyl Door Mats from us. The offered range of durawipe - z grid vinyl mattings is available in different customized specifications and forms as per the diverse requirements of clients. These durawipe - z grid vinyl mattings are made utilizing high grade raw material, sourced from reliable vendors of the market. Duro Turf Mats are made from special polymer tufts that scrape stubborn dirt and muck off your footwear thus keeping harmful germs outside your home. Duro Turf Door Mats caters to a varied set of industries including numerous Corporates, Public Sector Units. 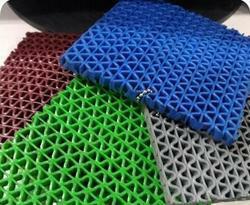 We are offering Duro Active (anti-fatigue)mats to our client and our product is made of good quality.